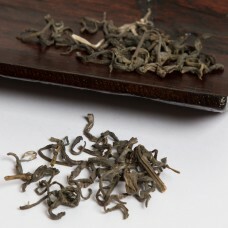 This Jasmine tea is scented 3 times using fresh jasmine blossoms and a good quality green tea as a base. Scenting happens over night - each evening fresh Jasmine blossoms are placed over the tea leaves, and each morning the Jasmine is removed from the tea. After 3 nights the tea has absorbed enough Jasmine flavour to show a good balance of green tea and Jasmine. This is a very approachable tea where the Jasmine scent is not overpowering the natural aroma of the tea, but instead it adds sweetness and a floral scent to the tea. The green tea is grown in Vietnam, just next to the Chinese border. It is a small tea garden where tea is grown free from any chemicals and harsh pesticides. Although it is not certified as organic by any European institutions, it is grown according to these standards. Many small tea farmers simply choose to not go through the costly process of certification despite employing the best growing practices in their farms. 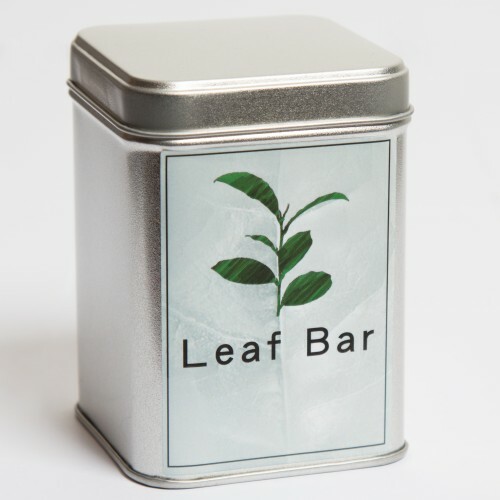 Flavour: a good balance between a sweet scent of jasmine, and the nutty taste of the green tea. Very floral tea that makes an exellent introduction to green teas.